Great inspiration from the amazing Kristen Lamb. As a writer, I can relate to pretty much this entire post. How many of these “You might be a writer if…” traits apply to you? I am supposed to be an adult an expert okay, maybe functionally literate. Fine, I give up! I have nothing left to saaaaayyyyyy. I am all out of woooords *builds pillow fort*. I figured it’s time for a bit of levity. Heck, I need a good laugh. How about you guys? 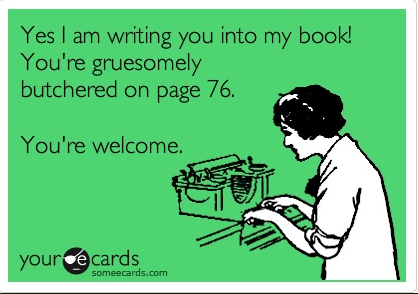 We writers are different *eye twitches* for sure, but the world would be SO boring without us. Am I the only person who watches Discovery ID and critiques the killers? This entry was tagged Kristen Lamb, writing inspiration, You might be a writer if.... Bookmark the permalink. Hi! Yep I did. Did you get my reply back? If not, I will resend. Thanks! I follow Ms. Lamb. She is amazing.